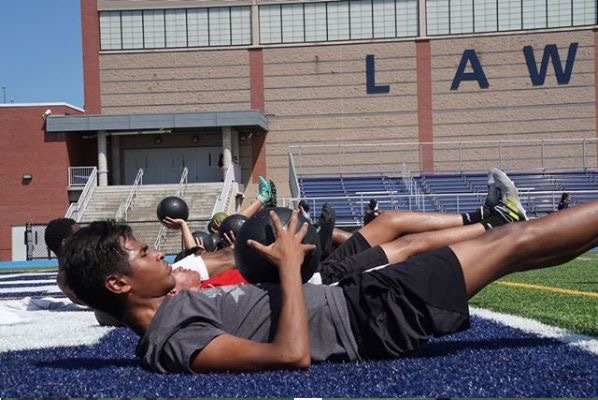 Our Health & Wellness priorities, or Health Kicks!, provides Lawrence youth with important, year-round access to healthy, active living initiatives that give them the tools and self-confidence to lead healthier, happier and more productive lives. Through consistent exposure to nutrition education, sport and health & wellness programming, Health Kicks! is designed to reverse the City’s negative health trends. By directly influencing the behaviors and attitudes of our young participants regarding the importance of physical activity and the foods they eat, we are also indirectly affect their families and the greater Lawrence community. 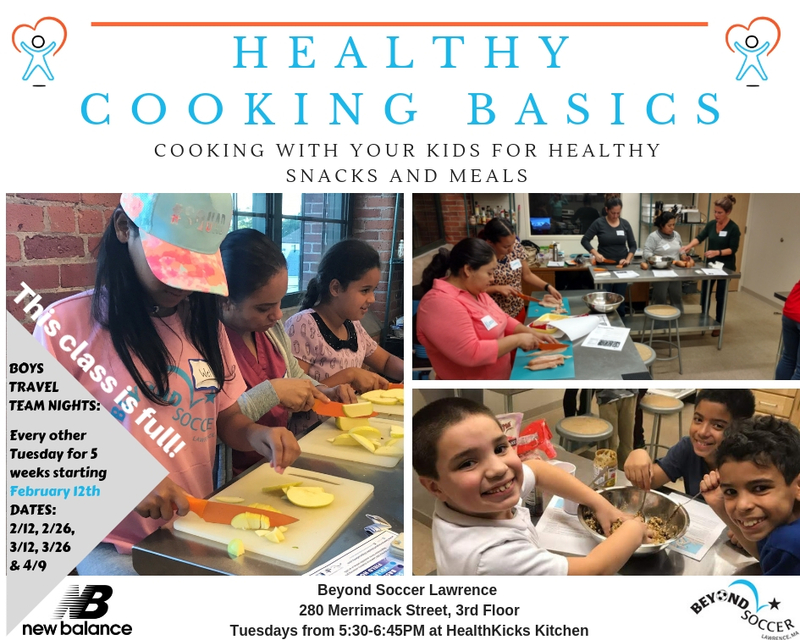 Cooking Courses: We host cooking courses over the summer and winter months that are designed around Boston Children’s Hospital’s FitKit education and programming standards. These resources allow us to keep messaging consistent and track progress related to the healthy eating patterns of our participants. Classes focus on educational topics such as the “health benefits of a low glycemic diet” and “how to build a balanced meal” that tie into the hands on food preparation and cooking portion. Fuel for Performance Nutrition Education Classes: These nutrition classes, which also utilize FitKit educational resources, are a requirement of all travel soccer players. This course takes it one step farther by focusing more specifically on eating for sport. Some topics include proper pre and post game nutrition, timing of meals and adequate hydration. Beyond Fit: This 10 week indoor and 8 week summer-outdoor program helps kids improve cardiovascular endurance while also focusing on sport specific improvements in footwork, coordination, strength, and speed. Summer Coach-Mentors also take an active role in this program by assisting with program design and implementation. This is an especially popular program among high school students trying to increase their fitness for their respective sports seasons. Alternative Fitness & Outings: Beyond Soccer always looks for other off the field experiences that reinforce the importance of healthy, active lifestyles. We sponsor hiking and farm trips, participation in local road races and Zumba events. What’s Happening Now? We are in the middle of our winter parent-child cooking courses for both boys and girls travel team players. This class is always a hit with families looking to learn a healthier twist to some of their go-to recipes while also spending important time learning a new skill together with their kids.